New York:Peter Goldman needs to look no farther than his eight-year-old daughter’s bedroom to behold the phenomenon of Walt Disney Co.’s High School Musical. Her heart-shaped pillow bearing a picture of Zac Efron, star of the Disney Channel movie, is a reminder that the film will produce $100 million (Rs416 crore) in profit this fiscal year. Goldman expects profits to grow as a sequel debuts on Friday. “We’ve only seen the beginning," said Goldman, managing director of Chicago Asset Management, which holds 130,000 Disney shares. “It took on a life of its own." More than 170 million viewers in 16 countries have seen High School Musical since it first aired in January 2006, Disney says. The studio plans feature versions of High School Musical for movie theatres, both in English and with local casts in India and Latin America. “People are looking at this as a franchise," said Anne Sweeney, president of Disney-ABC Television Group. “We’re looking at the different ways it can branch out." 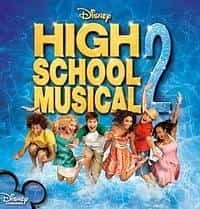 The Burbank, California-based company forecasts that revenue from High School Musical DVDs, CDs and live performances, including a show adapted for ice rinks, will total $500 million in the year ending next month. That’s from a movie made for just $4.5 million. The sequel cost about the same. The original movie follows students from rival cliques as they audition for their school musical. The cast returned for High School Musical 2, about students organizing a talent show during summer vacation. Disney is seeking to tap the loyalty of fans such as 10-year-old Roxanne Lewis of New York. She has posters of Troy, the character played by Efron, and is saving to buy the sequel’s soundtrack. “I like it because it has a lot of dancing and singing," Lewis said while shopping at a Disney Store. “I’m a really big fan of Troy because he’s really funny and cute." This is the first time a movie made for Disney Channel has been so popular that products are being developed in every division of the company, Sweeney said. More than 100 High School Musical items licensed by Disney will be in stores by year-end, from bedding to dolls to mats that diagram dance steps from the movie, the firm says. Karaoke games for Sony Corp.’s PlayStation2 and Nintendo Co.’s Wii will be released by December. High School Musical 2 will be shown on Disney Channel worldwide starting Friday.